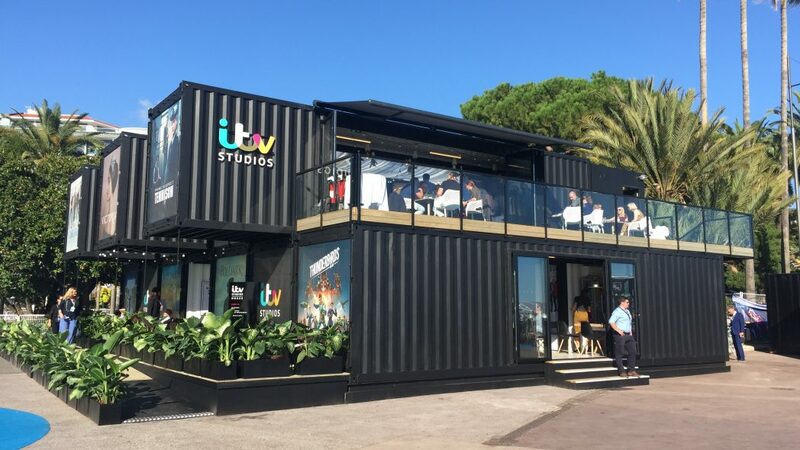 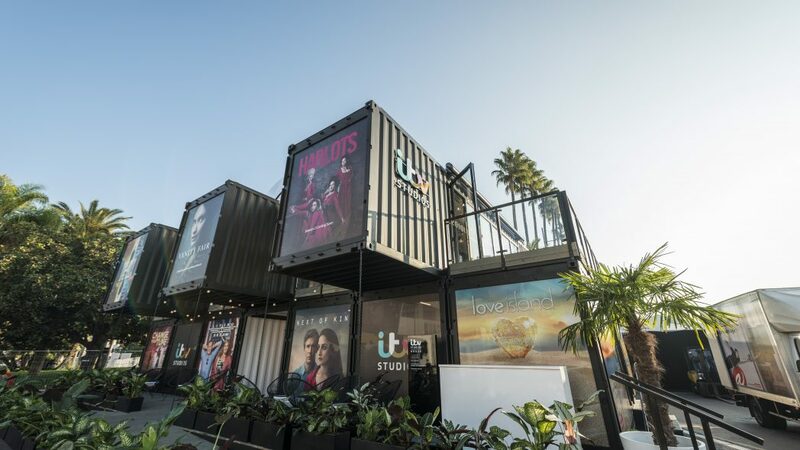 This is a 12 container hospitality and studio complex, created for ITV to use at their twice yearly visits to MIPCOM in Cannes. 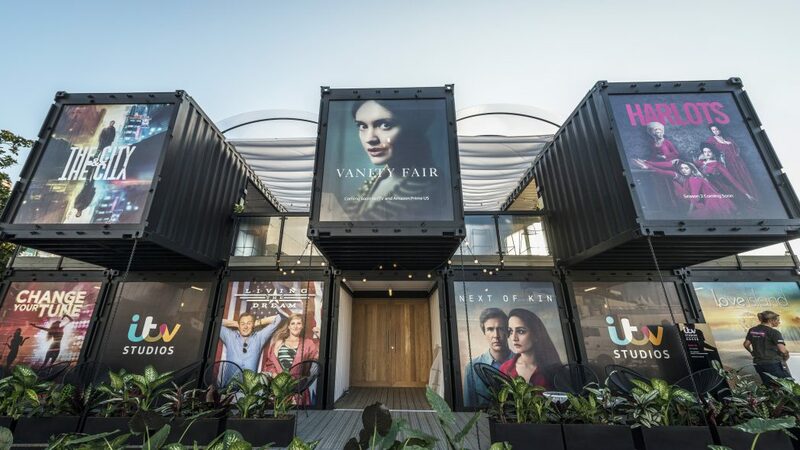 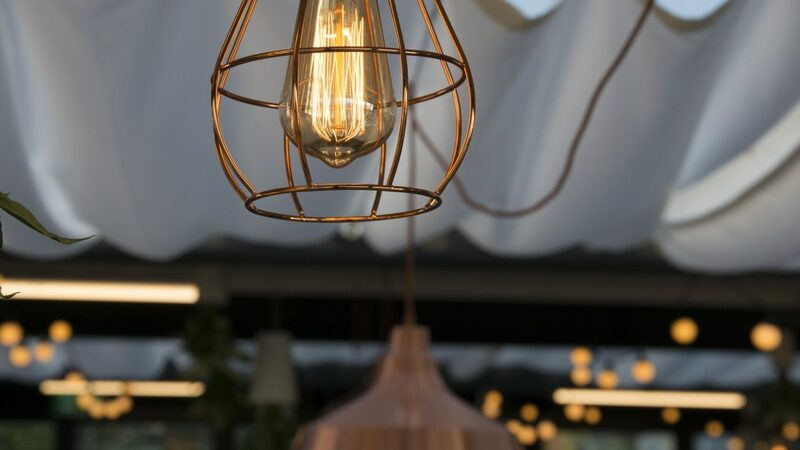 It incorporates reception, meeting, breakout and recording areas with all services built in and started life as a series of shipping containers. 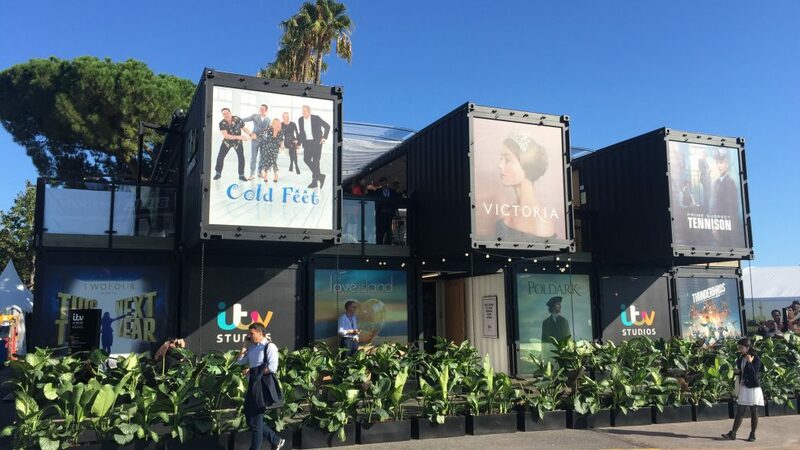 The complex is installed in hours and then stored offsite between events.